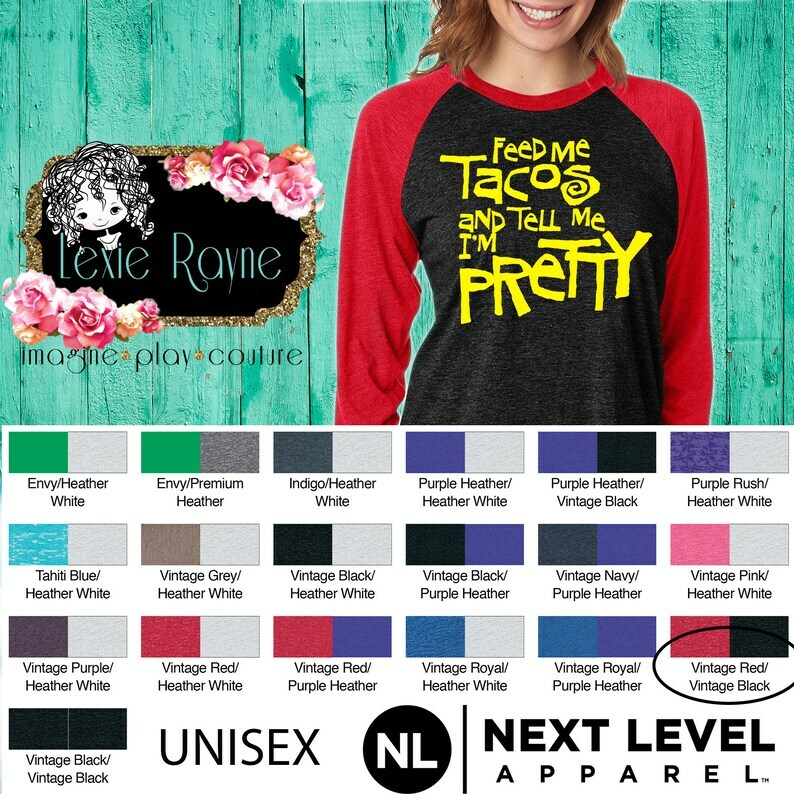 These soft, stylish and comfy "Feed Me Tacos and Tell Me I'm Pretty" shirts are the perfect addition to your wardrobe! It's the little things that make life sweet, stylishly display your necessities. These make a great gift too!